New Delhi: The death of North Korean leader Kim Jong Il has triggered concerns in India about the impact of instab-ility in the Korean peninsula on Japan and South Korea, with which India has close commercial ties. 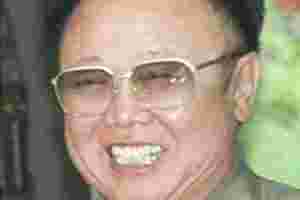 Kim Jong Il, the supreme leader of nuclear-armed North Korea, died on Saturday during a train journey. He was 69. Reports from Pyongyang said Kim’s youngest son Kim Jong-Un has succeeded as the ruler of the country. North Korea’s nuclear and missile capabilities coupled with its opaque decision making process and worries over the transition of power from Kim to his anointed successor were some of the many variables stoking anxiety, according to a person familiar with the matter. Reactions from Seoul, Tokyo and Beijing were also being closely watched, he said. China and Russia are the two countries with influence over North Korea. The death of North Korean leader Kim Jong Il has thrown the entire region into turmoil. Mint’s Elizabeth Roche discusses the implications for India and other countries. “We don’t want instability in the region which will affect our major partners like South Korea and Japan and, in turn, impact us economically. In a globalized world, such things have a wider impact," said the person cited above. India, which signed comprehensive economic partnership agreements with South Korea and Japan and a free trade agreement with the Association of South East Asian Nations (Asean), is looking to increased commerce with this region to offset the economic impact of the slowdown in Europe and the US. India’s two-way trade with Japan, South Korea and Asean is in the region of $75 billion, according to the commerce ministry. Though India is one of the countries with a diplomatic presence in North Korea, it has very little leverage with Pyongyang, whose nuclear and missile programme and export of missile technology to Pakistan have been a cause of concern for the government. In March this year, India was quick to respond to a food shortage in North Korea by providing $1 million through the World Food Programme. Pyongyang had appreciated India’s timely assistance, said a second person close to the development. For the first time in years, the North Korean foreign minister visited the Indian embassy at the Republic Day function in Pyongyang on 26 January. A few days later, the North Korean vice foreign minister invited the Indian ambassador for dinner. In May, a team from North Korea visited India to explore the Indian experience in setting up special economic zones and in August, India and North Korea held foreign office consultations and decided to strengthen bilateral ties. “Any instability in the Korean peninsula will affect entire East Asia and parts of South-East Asia," said Rajaram Panda, a senior fellow with the Institute of Defence Studies and Analyses. “Much depends on how well King Jong-Un manages to take and hold power, the equations between him and the military and between him and his family members who also wield power. If there is a military revolt, usurping of power by some group or the other, it can have major repercussions." In case of domestic instability in North Korea, there could be an influx of refugees into China, causing the country to intervene, Panda said. A power struggle between Kim Jong-Un and the military or his family could compound Japan’s worries vis-a-vis North Korea’s nuclear programme, he said. All this will upset the security calculus in the region, he added. “The best case scenario for India is that there is an Arab Spring like movement towards democracy. But that is very far fetched," according to the second person cited above. “But then China could intervene to stabilize the situation as well as ensure it has the same leverage as before."